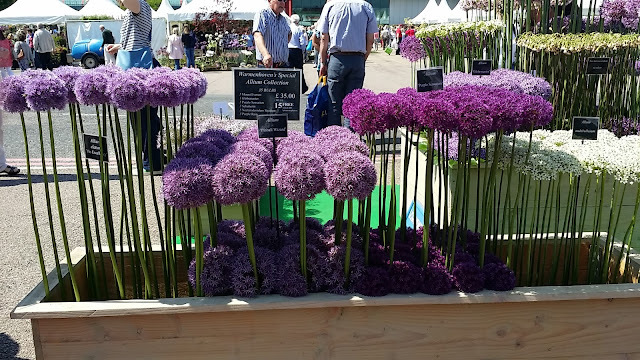 Looking for Alliums to buy for your flower garden? | Grow Your Own Veg Blog. Gardening and Food Blog. 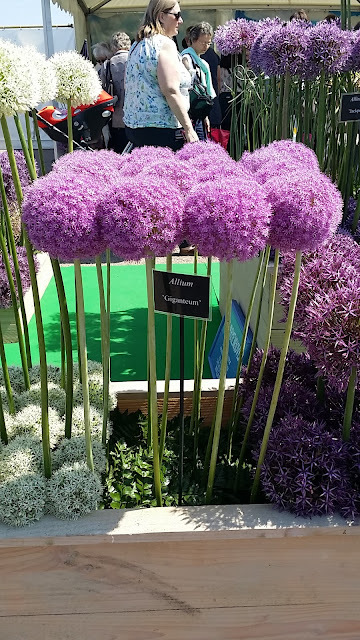 Looking for Alliums to buy for your flower garden? Trying to decide which alliums to buy for your garden? Alliums look magnificent in the garden and are stunning as a cut flower. Looking through the catalogues, I always find it difficult to visualise the height and size of the blooms and especially which varieties work together. 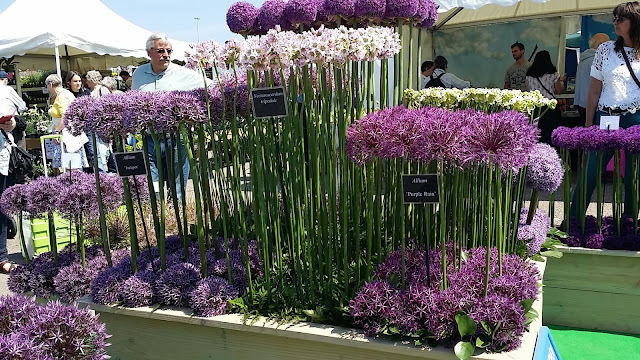 At the BBC Gardeners' World Live event this year, Warmenhoven, a specialist in alliums and bulbs put on this incredible display at their outdoor stand. 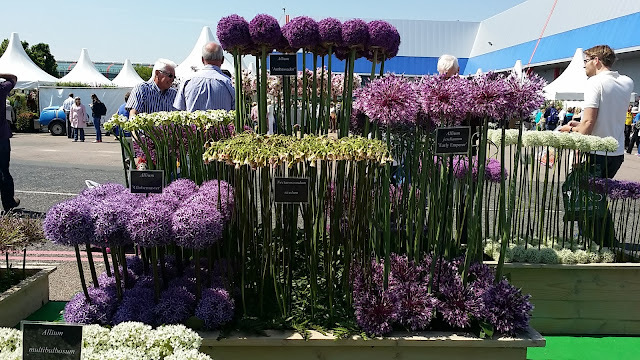 Here are some of the incredible Alliums that were on display. 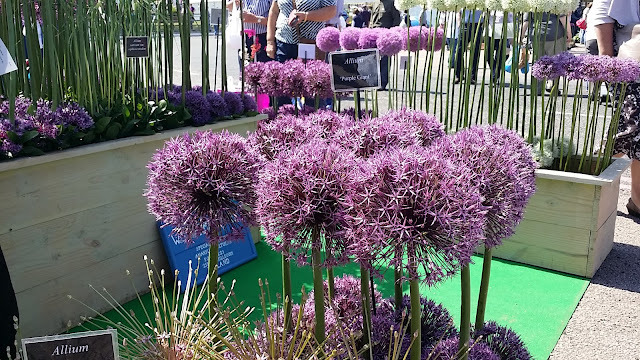 The 'Globemaster' (above left) grows to about 80cm in height while the 'Ambassador (above middle top) ' is about 120cm in height with intense purple flowers. 'Purple Sensation' (shown above) is one of my favourites with intense true purple flower heads which contrast perfectly against bright green coloured stems. I also adore 'Giganteum' which have huge fluffy flower heads of densely packed flowers and reminded me of balls of cotton candy. Simply stunning! According to Warmenhoven, the flower heads can grow up to 15cm and the height of the plant is between 120 to 150cm. So pretty! Allium bulbs are usually planted between the months of September to November and bloom in May / June.